Now the hotel sector is developing day by day. One of the main examples is OTAs that gain huge control over hotels. This situation is difficult for the hotel's work capacity. HotelRace establishes a practical management that gives hotels independent condition on OTAs and more check over income, customer service, productivity, and details. By this method, hotel customers will get more confidence when they do reservation on your system. We provide you with assistance that enhances the case of hotels and streamlines management of your own hotel. 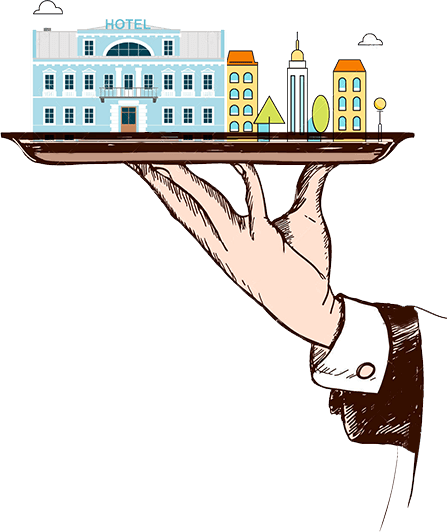 Our platform allows you showing hospitality at the highest level with establishing beneficial and fast technology. Our team is always ready for solving problems and perfect service.